Brian Tremblay is co-founder of Berkshire Fairfield Insurance Agency. In his various roles over a 20-year corporate finance career with businesses ranging from small startup to large multi-national General Electric, Brian has been responsible for the selection, implementation and administration of business insurance programs, giving him the well-informed insight of why it is crucial for insurance professionals to provide expert guidance and extraordinary service. 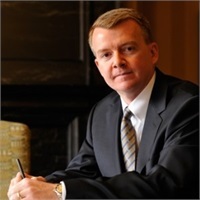 Prior to his role with Berkshire Fairfield Insurance Agency, Brian was Senior Vice President and Chief Financial Officer of NBC News, from 2008 to 2011. Before to that, Brian served as Senior Vice President and Treasurer of NBC Universal from 2006 to 2008. A 17-year veteran of General Electric, Brian held a variety of finance leadership positions within NBC Universal, GE Corporate Business Development, GE Energy and GE Aerospace. Additionally, he was a course instructor and mentor with GE’s Financial Management Program, the company’s premier training and development program.